App "Needs To Be Updated" On iPhone? Here's The Real Fix! You are at:Home»iPhone»Apps»App “Needs To Be Updated” On iPhone? Here’s The Real Fix! Some of your apps aren’t working after you updated to iOS 11 and you don’t know why. iPhones, iPads, and iPods running iOS 11 will only support 64-bit apps! 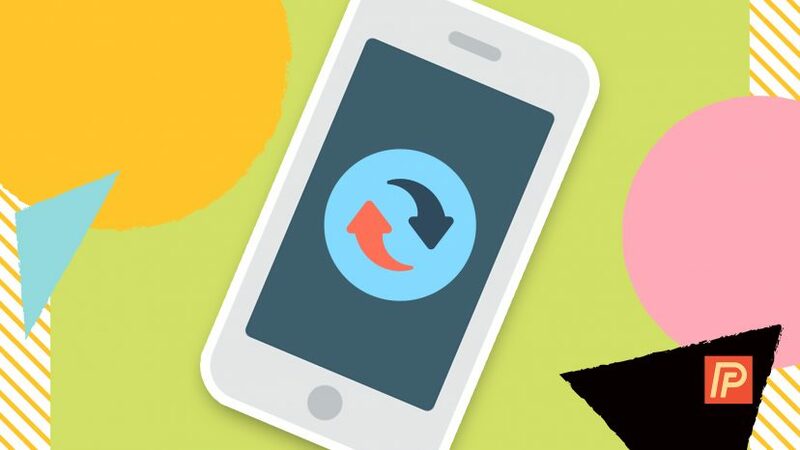 In this article, I’ll explain why it says an app “needs to be updated” on your iPhone and show you how to fix the problem for good. Why Does It Say An App “Needs To Be Updated” On My iPhone? It says an app “needs to be updated” on your iPhone because the developer needs to update the app from 32-bit to 64-bit. 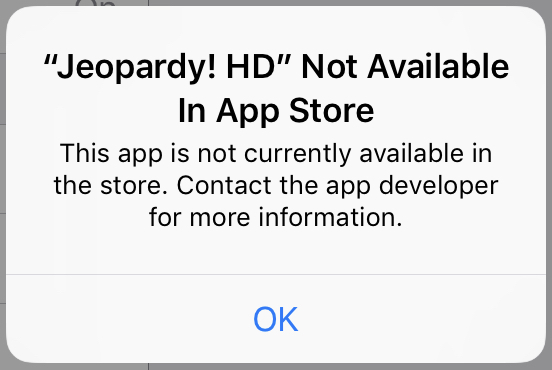 32-bit apps will no longer be supported in iOS 11, so when you try to open one, you get a pop-up like the one in the screenshot below. If you have iOS 11, you could go around tapping on all your apps and seeing which ones don’t open — but there’s an easier way! To find out which apps need to be updated, open the Settings app and tap General -> About -> Applications to reach the App Compatibility menu. You’ll see a list of the apps that don’t have a 32-bit to 64-bit update. If you really love that app that needs to be updated, you may want to try contacting the app developer to see if they’ll update their app from 32-bit to 64-bit. To find the app developer’s contact information, you can try tapping on the app in the App Compatibility menu (Settings -> General -> About -> Applications) and tapping Developer Website. If the app is no longer available in the App Store, try Googling the name of the app to find the developer’s contact information. 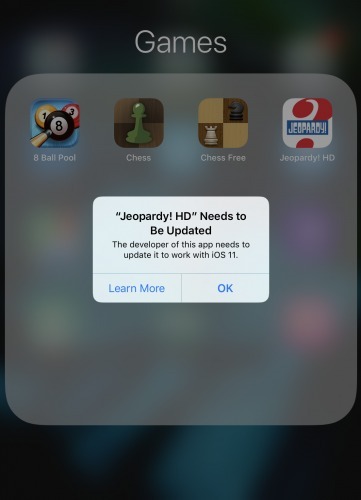 Will 32-bit Apps Still Work With Older Versions of iOS? 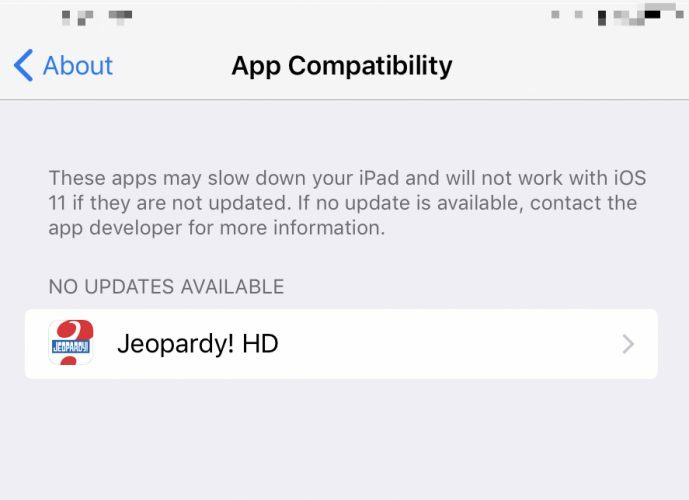 32-bit apps will still work on iPhones, iPads, and iPods running iOS 10 or earlier. However, those apps will stop working if you do decide to upgrade to iOS 11. We hope this article cleared up any confusion you had about it says that an app “needs to be updated” on your iPhone. We hope you’ll share this article on social media with your friends and family so you can help clear up any confusion they might have too. We look forward to hearing your thoughts on this major app change in the comments section below! Previous ArticleiPhone X Release Date, Price, Features, & More! The Complete Roundup. Next Article Is The iPhone X Waterproof? Here’s The Truth!